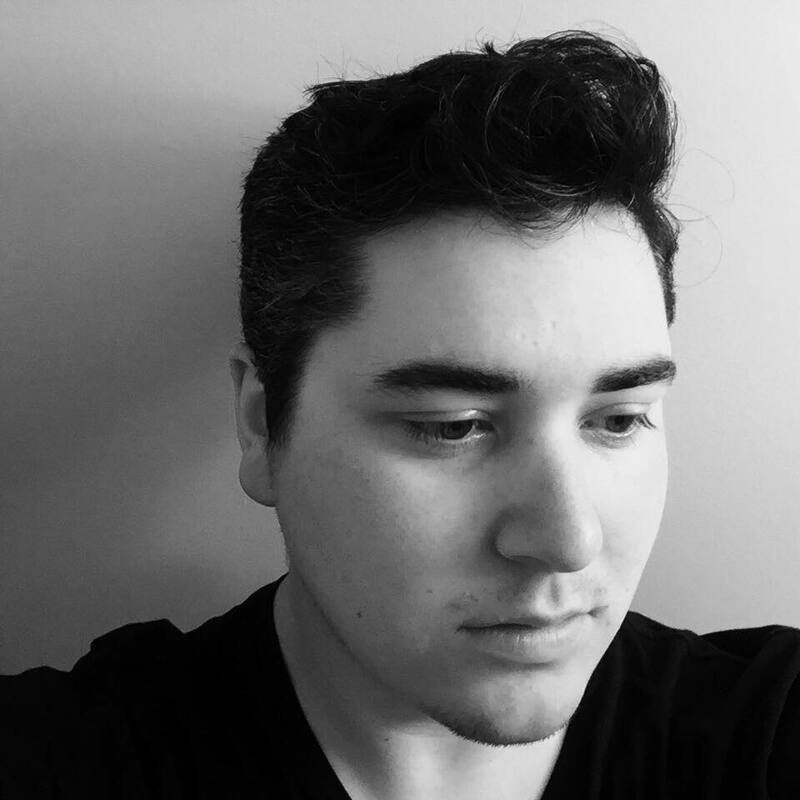 Critics At Large : Inventory Management, Vol VIII: A Pirate's Life for Me! Inventory Management, Vol VIII: A Pirate's Life for Me! Sea of Thieves is the latest game from Rare, the developer formerly known as Rareware, who changed their name (and lost most of their intrepid founding members) when their company was absorbed by Microsoft Studios in 2002. Once the undisputed ruler of console gaming in the mid-to-late 1990s, with watershed titles like Donkey Kong Country, Goldeneye 64, and Banjo-Kazooie to its name, Rare’s acquisition by MS cast a dark cloud over the future of the studio. A series of clunkers in the early 2000s (Grabbed By The Ghoulies, Kameo: Elements of Power, and Banjo-Kazooie: Nuts & Bolts chief among them) followed their '90s hot streak, which tainted their legacy and spoiled the good will they’d earned among fans. (Several key developers responsible for those earlier, beloved titles would splinter off to form their own studios like Playtonic Games, which released the Banjo-Kazooie spiritual successor Yooka-Laylee in 2017 to decidedly mixed reviews.) The Rare logo on a product was once a symbol of definitive quality, a sign that no matter what genre or style the game was, it was sure to have been made with wit, care, and charm. That promise has since lost its credibility, and so Sea of Thieves, which was released in March for PC and Xbox One, had an uphill battle to fight before it even hit store shelves. An open-world simulation of a pirate’s life on the briny blue, Sea of Thieves has three distinctive elements: some truly remarkable water simulation technology, which recreates the translucent beauty of a wild and mercurial ocean with stunning realism; a suite of social mechanics, including the different jobs required to sail a galleon like raising sails and charting a course, which makes playing with friends a functional necessity; and a bizarrely thin structure for gameplay and progression that exposes a fundamental lack of content. The moment-to-moment fun of sailing a ship with your pirate pals, digging up treasure, surviving storms, and attacking other player-controlled crews quickly gives way to a sense of “okay, but what’s next?” which has severely hurt the game’s reception, both critically and financially. For a game developed by a studio whose founding staff has largely moved on, and with a four-year development cycle on a Microsoft-sized budget, Sea of Thieves feels weirdly antiquated. There was a time in gaming culture – the early to mid-'90s, specifically – when a game like this, which is largely bereft of stuff to do and relies on a sense of immersion within a charming (if empty) world, would have worked like gangbusters. The problem is that Rare isn’t that same company from the '90s anymore, and they’re serving an audience that has grown up on two decades of rapidly evolving game design that has made immersion-based simulations like this mostly obsolete (especially in the triple-A space). In the 1990s, developers were so limited by the hardware they were working on that they struggled to achieve a sense of impressive scale in a 3D environment – something that Sea of Thieves offers in spades. But what would have been impressive back then is quite simply not enough today, when your competitors are offering similarly massive digital playgrounds that also happen to be filled with compelling, varied, and multilayered gameplay. 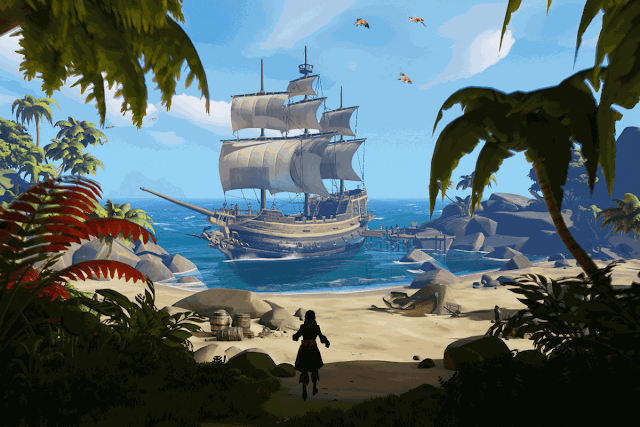 Rare has achieved an excellent foundation with this early version of their pirate fantasy, but it must be built in the months to follow into a richer and more complete experience before it’ll be something I feel comfortable recommending. When I bought a SNES Classic, the mini-console released by Nintendo in late 2017, I immediately knew which game I wanted to play first: Chrono Trigger, the 1995 Japanese RPG from Squaresoft, considered a true masterpiece of the genre and one of gaming’s unmissable touchstones (which makes finding and purchasing a reasonably-priced game cartridge nearly impossible). 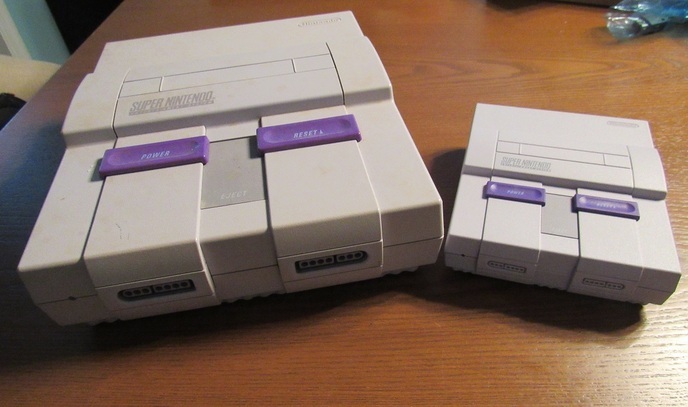 The SNES Classic – a recreation of the Super Nintendo system redesigned for modern televisions, equipped with save-state capability, and pre-loaded with 21 classic titles, displayed on a beautiful collection screen – doesn’t include Chrono Trigger, however, probably due to licensing rights with the company now known as Square Enix (of Final Fantasy fame). Being the dedicated dork hobbyist I am, I was delighted to find that with a little elbow grease and some custom third-party software, it’s not only possible, but quite easy to mod your SNES Classic and add hundreds of new games, transforming what is at best an indulgent nostalgia gadget into a powerful emulation machine. Similar setups are easy to find – I already own a Raspberry Pi, for example, which emulates multiple classic consoles on a version of Linux – but are almost universally difficult to manage and maintain, and are never executed with the sleek and user-friendly presentation of a system designed by experts at Nintendo. It wasn’t long before my SNES Classic was full to bursting with all the Super Nintendo games I could ever want to play, and I could finally try out this Chrono Trigger thing I’d heard so much about. My history with JRPGs is spotty at best; their belaboured storytelling, languid pacing, and obtuse and complex systems never held my attention for very long (only the more accessible entries in the genre, like Nintendo’s Paper Mario – which some would argue doesn’t even count – have won my heart). Chrono Trigger begins under similarly discouraging auspices: the game starts with you, a spiky-haired anime boy, being awakened from a deep slumber in your quiet hometown, and everything is idyllic until an apocalyptic threat reveals itself. Loved ones are put in grave danger, special powers are granted to you, and your quest along a path of lush environments, stat-based tactical combat, convoluted storytelling, and ultimate destiny begins in earnest. Chrono Trigger offers little in its first hour or two that I hadn’t seen (and grown deeply tired of) a hundred times already. In the early sections, I was worried I wouldn’t even be interested enough to continue. Akira Toriyama's original character designs for Chrono Trigger. But, slowly and surely, the game unfolded a series of unique and engaging twists on the JRPG tropes I so dislike, revealing a carefully considered approach to systems that, by 1995, had already become stale. Random battles – a common feature in JRPGs and always an extreme irritant – are replaced by in-world encounters that can be actively avoided. Turn-based combat is instead managed by an action metre for each of your party members, dependent on their individual speed and skill (and enemy placement on the battle screen is not static, which means your tactics must shift along with the positions of your foes). This surprisingly satisfying combat system is supported by beautiful hand-crafted environments and detailed character sprites, with plenty of expressive animations and Mode-7 special effects. All of these gameplay elements are balanced by an expansive, nuanced story that spans multiple time periods and makes excellent use of traditional time-travel fiction conventions in order to set up and develop a host of memorable characters, villains, and side players. 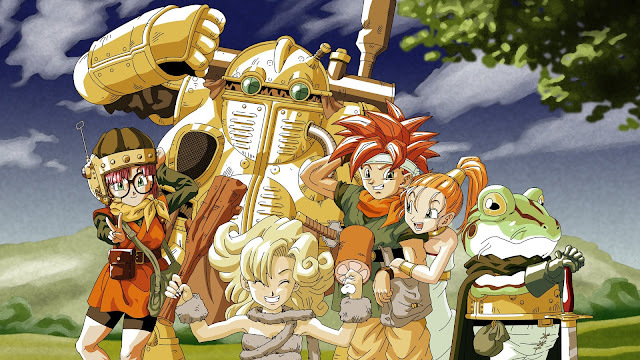 In many ways, Chrono Trigger feels like the realization of the potential of JRPGs, delivering the kind of experience I’d always been promised by critics and friends in games like Phantasy Star, Fire Emblem, or even Kingdom Hearts, but never found during my own efforts to meet the genre halfway. This shouldn’t come as much of a surprise considering the game’s pedigree: it was a joint effort from Hironobu Sakaguchi, creator of Final Fantasy, Yuji Horii, creator of Dragon Quest, and Akira Toriyama, legendary manga artist responsible for the distinctive character designs of Dragon Ball. The unique melting pot of these distinct talents resulted in a kind of alchemical miracle with Chrono Trigger, true lightning in a bottle, which would be imitated countless times in the years to come but never successfully replicated. Now, as I approach the end of the game with the friend and colleague who’s been playing it with me, a piece of gaming history has finally slotted into place – and none of it would have been possible without my pirated SNES Classic. Yo-ho, indeed.